Nearly 4 million Americans are working from home these days. Whether you’re a college a student, a busy mother or father, or you’re just looking to make extra money – there’s lots of legitimate ways to make an income from home. In the past, many people got a second job to bring home more money each month. Today, we’re lucky to have a variety of different ways to work and make money from home. There has never been a better time to make money online! Help build your emergency fund, and so more! What you would do with an extra $500+ per month? With the lack of job security in today’s economy, it’s vital to have multiple sources of income. It’s not just meant to help you survive — it’s the smart way to build wealth. How many streams of income should people have in order to build wealth? According to Tom Corley’s book, Rich Habits, 65% of self-made millionaires had three or more streams of income they’ve created over time. When you have money coming in from multiple sources, it helps diversify your income. For example, if one stream suffers, the others can make up for it. Ask yourself this — if you lost your job today, would you still have a source of income coming in tomorrow? Do you have enough savings to cover at least six months’ worth of living expenses? These are tough questions to answer, but they’re important to your financial success. We’ve heard in the news how companies are laying off employees and making cuts when they need to. People never think it will happen to them, but losing your job can happen to anyone. It’s happened in my family and it’s not easy. The best way to be prepared is to take back control of your own finances. This includes building an emergency fund and finding ways to increase your income. That’s why I’m sharing 12 of my favorite ways to make extra money from home. Use these ideas to inspire you today, so you can be richer tomorrow! Pro Tip: Signing up for several survey websites will help you make the most money. How to get started: Check out this post sharing everything you need to know about becoming a Virtual Assistant. How to get started: Check out this step-by-step guide on how to become a paid freelance writer. How to get started: Head to my easy step-by-step guide here to get your blog up and running in minutes. Blogging is my favorite way to make money from home. It’s easy to get started and the start-up costs are low. Blogging can be a simple side hustle, or it can turn into a full-time job (like it did for me). It’s up to you! How to get started: You can click here to create your free listing with Airbnb. Don’t have any extra space but you still want to make money? You can choose to become a host for your neighborhood or make money by hosting a unique experience (hiking, cooking classes, and more). How to get started: Head to the HealthyWage Prize Calculator to determine your winnings amount. Now’s the perfect time to start getting fit for summer. Companies, such as Healthy Wage, will actually pay you to lose weight. Make a bet, lose the weight you say you’re going to lose, and get paid. Sounds simple enough, right? How to get started: You can click here to sign up and claim your free Stella & Dot jewelry ($350 value). How to get started: You can click here to sign up to drive today. Ok, I know this suggestion involves leaving the house, but it can be done in your neighborhood. If you want to make extra money in your spare time, consider signing up for Uber. As an Uber driver, you have the freedom and flexibility to drive whenever you want. Because driving people around town is an easy way to make money, many people also sign up to drive with Lyft. To be eligible, you’ll need to be at least 21 years old and pass a background check. How to get started: Check out this post to learn how Michelle earns $50,000 /month from affiliate marketing. If you haven’t started your blog yet, you can use my easy step-by-step guide here to set up your blog within minutes. 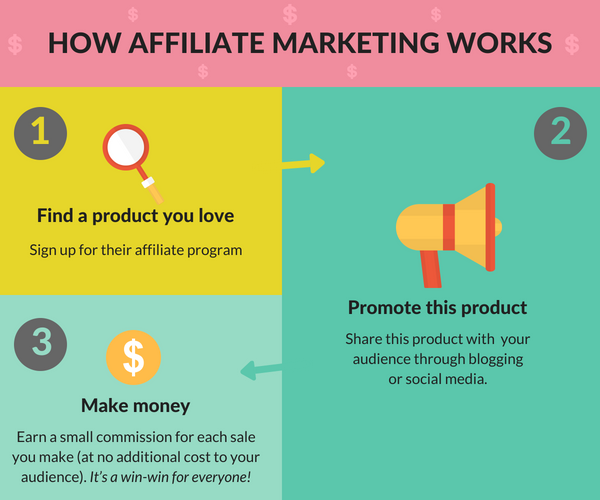 The best ways to promote affiliate products are on social media or through blogging. You can start a money-making blog for as low as $2.95 /month through my easy step-by-step guide here. 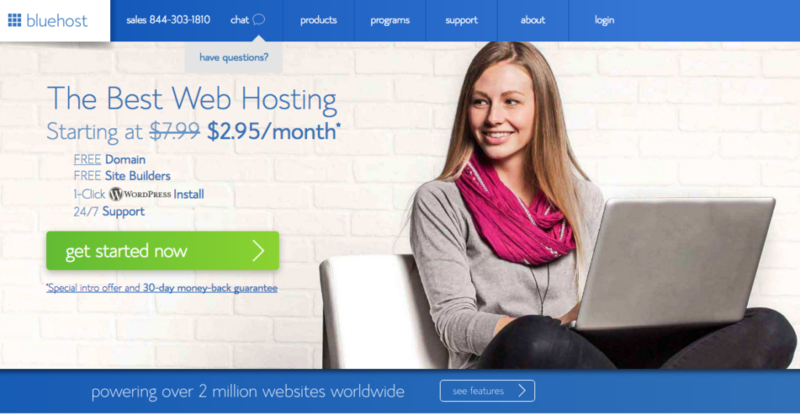 This also includes a FREE domain name for Mint Notion readers. Promote products from brands / companies you already know and love. Make money your way on your own schedule! How to get started: You can click here to sign up and get your free 14-day trial with Shopify. How to get started: You can click here to apply to teach English with VIPKID. You can make up to $22/hour teaching English online. VIPKID is currently looking for part-time online ESL teachers for young children who are based in China. All classes are one-on-one and taught online through the VIPKID portal. You need a degree and at least 1 year of teaching or tutoring experience. If this sounds like something you would enjoy, I highly recommend applying for an opportunity with VIPKID. Click here to learn more! How to get started: Check out this free workshop to learn how to become a professional proofreader. If you love correcting grammar, proofreading can be a great work at home option for you. How much can you make proofreading? Well, it turns out you can earn quite a lot! Some people are earning over $40,000 a year working for themselves and loving it. If you’re interested in learning more about how to make money as a proofreader, I recommend checking out this free training course. In this course, you’ll learn how to find clients and promote your proofreading business.